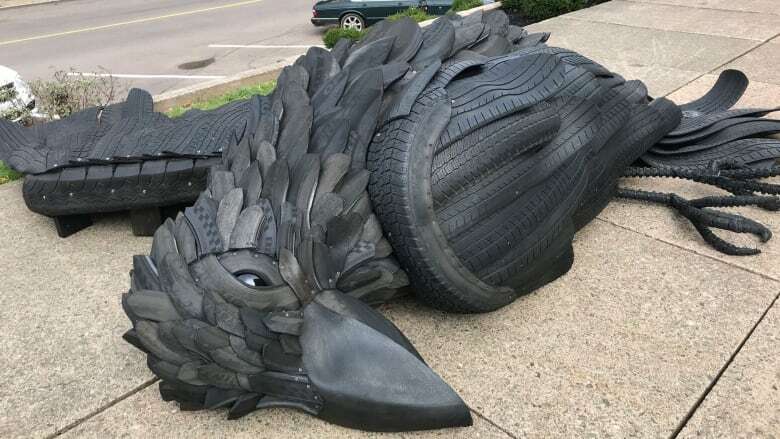 Two gigantic crow sculptures are lying outside the entrance of the Confederation Centre Art Gallery in Charlottetown. 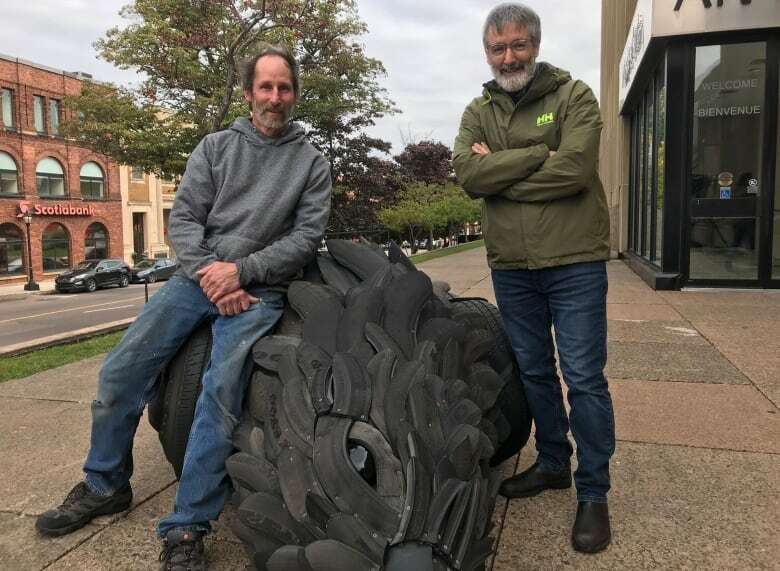 The sculptures, inspired by roadkill, are made from old tires. Each is about five metres long and weighs more than 360 kilograms. 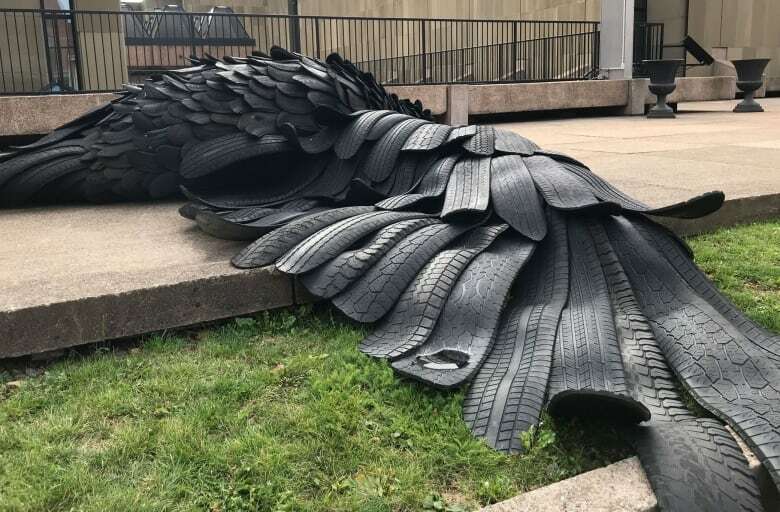 "Often when I do my works the materials are the metaphors, so the tires are exactly the cause of the catastrophe," said artist Gerald Beaulieu. "They're also very well suited — being rubber, being black — they work perfectly in making the crows. 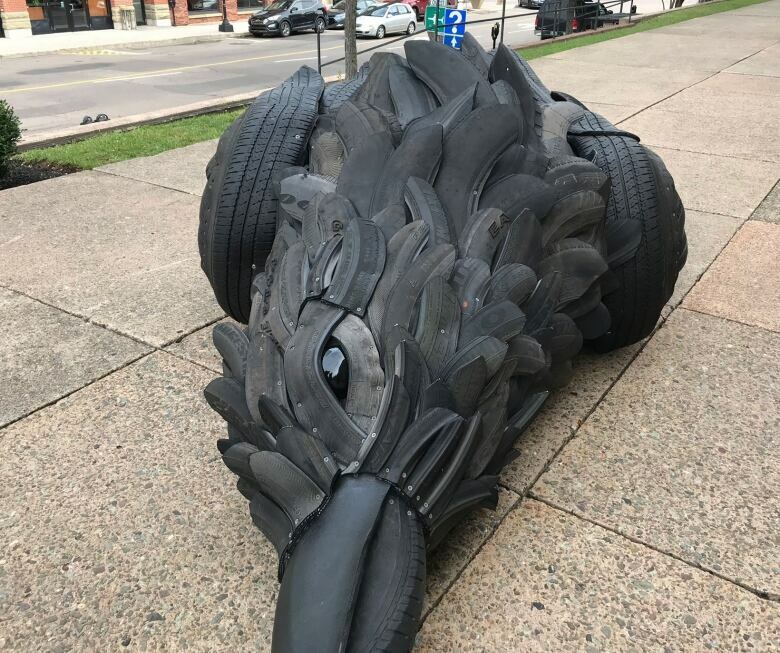 And as I worked with the materials, cutting up the tires, seeing what I could do I was able to get quite a bit of detail and a real life-like resemblance of the crows, writ large." The crows were originally created for Charlottetown's Art in the Open event at the end of August. The Confederation Centre has commissioned the crows to spend the winter on the concourse.